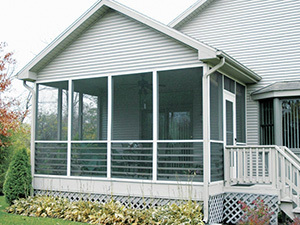 See how you can transform your home by purchasing a sunroom, enclosed patio, or screenroom from Betterment Sunrooms®. At the Lowest Price Guaranteed, Get The Room You’ll Love The Most. My wife and I are incredibly pleased with not only the customer service of everyone we’ve encountered but the quality of the work. The room is even better than we had hoped.  We recommend you guys highly. If anybody has any questions then they can call me. Our puppy loves it. We couldn’t be happier with this room. I mean it’s just really what we wanted. My Betterment Sunroom was one of the better purchases I’ve made in the last five to ten years. I use the room every morning to exercise in and my girlfriend does her yoga in it and it is fabulous. 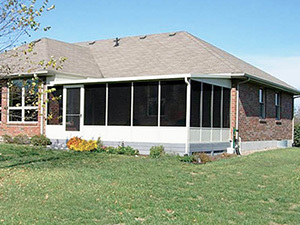 Sunrooms can be constructed faster, and at a fraction of the cost of a home addition. 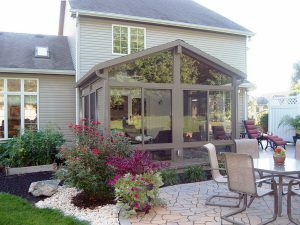 We have several decades of experience installing sunrooms for homeowners throughout Pennsylvania, and look forward to making your outdoor living dreams a reality. 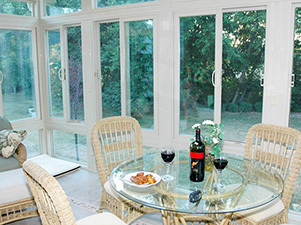 There are different types of sunrooms that cater to various design tastes. Spring, summer & autumn offer numerous opportunities for homeowners to enjoy outdoor living. Unfortunately these seasons provide the same outdoor enjoyment opportunities for insects. Luckily, a screen room can allow you and your family to enjoy the outdoors without having to share the experience with bugs. So you have a deck or patio but you can’t use it as much as you’d like to. Maybe you’ve thought of adding a patio room to extend the use of your outdoor space. 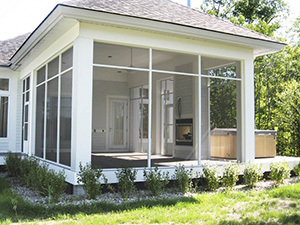 We can design and build a beautiful Patio enclosure on your existing deck or patio. Relax and enjoy the outdoors without the annoying bugs or blazing sun. Having an existing patio or deck may actually reduce the cost of adding your new patio room or deck enclosure. 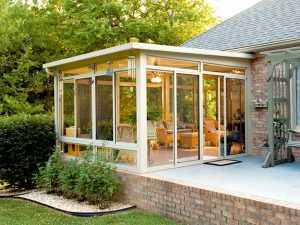 We can also start from scratch if you don’t have that patio or deck, or we can add a patio enclosure next to your existing deck or patio. 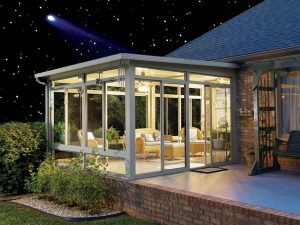 Here’s why we’re the Mid-Atlantic’s Top Choice in Sunrooms! For over 70 years, homeowners throughout the United States and Canada have been discovering just how much better their homes can be with Betterment products. 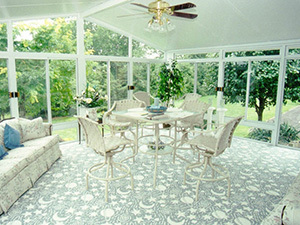 Our high standards of quality have made Betterment the most respected name in the Sunroom industry. We have the strongest warranty in the market, bar none. In fact our customers cite our warranty as one of the top differentiators from our competitors. 100% non-prorated, with no small print disclaimers that would leave you responsible for additional costs down the road. We manufacture every component of our Sunroom in our local factory. The framing, roofing, window, doors, screws and caulk are engineered to work in complete harmony and last a lifetime. 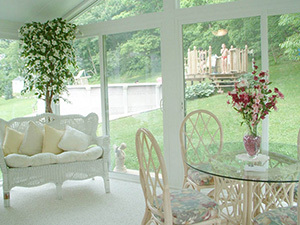 With a Betterment Sunroom you will spend your weekends entertaining, not maintaining. 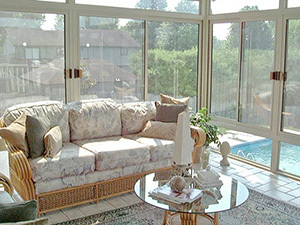 We control the entire installation process for your Betterment Sunroom. We do not use sub-contractors. Our installers are experienced experts at installing Betterment Sunrooms, with hundreds of installations under their belts. 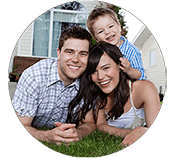 They are all covered under our company general liability and workman’s compensation insurance, providing peace of mind and protection for your home. 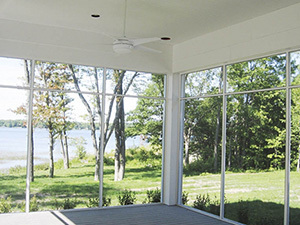 Our dedicated Betterment Project Managers will manage your job from start to finish, including obtaining all required building permits for your sunroom. We ensure clear communication by providing you project updates throughout. No two homes are alike. 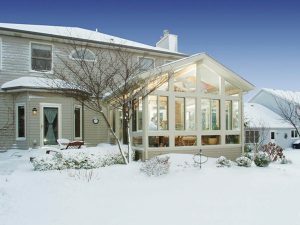 At Betterment Sunrooms, we will custom build your Sunroom to fit your unique home. This will eliminate performance problems down the road. But most importantly it will enhance the beauty of your home and be the jewel of your neighborhood.